About the book: This book is composed as a series of letters. 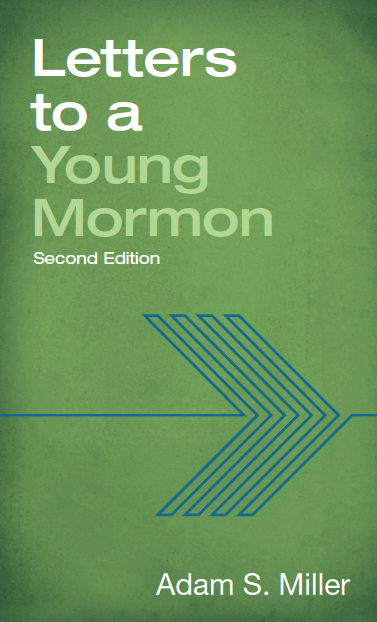 The letters are meant for a young Mormon who is familiar with Mormon life but green in his or her faith. The author, philosophy professor Adam S. Miller, imagined himself writing these letters to his own children. In doing so, he struggled to say his own piece about what it means to be—as a Mormon—free, ambitious, repentant, faithful, informed, prayerful, selfless, hungry, chaste, and sealed. "This book frustrated me. Not that I didn't like it, because I enjoyed it immensely. No, it frustrated me because I only wish I had had such a book to read when I was a 1960s teenager with racing mind and hormones. And perhaps more poignantly, I wish it had been available when my children were passing through those difficult and impressionable years. Both tender and gentle, and at the same time provocative and intellectually stimulating, its disarming honesty is only surpassed by the significance of its messages. I recommend it wholeheartedly, for young and old." "Employing a witty, upbeat sense of life, the author teaches without being preachy and encourages deep reflection of serious messages in the gospel of Christ." "Reading it, I felt less tired and more awakened to the climbs and depths of my life and faith. . . . I whole-hardheartedly love this very small and not so simple book; I’ve passed it on to so many others and now I recommend it on to you. A thought-provoking, beautifully written collection of ideas, insight and inspiration by Adam S. Miller." 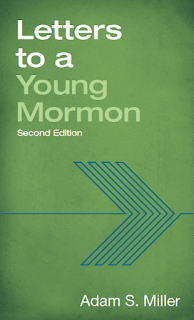 "Faithful, smart, witty, well-written, and accessible—the perfect book for any thoughtful LDS young person." "Miller writes with a directness and depth that will challenge youth and adult readers to delve a bit more deeply into their own thoughts and beliefs." My review: I wasn't quite sure what to expect from this book when I first started to read it. You never quite know what you're going to get with non-fiction. I was pleasantly surprised with the readability of it. I thought the author did a good job of writing each of these letters. They come across as a letter from someone who cares deeply about another person and just wants to help them be able to be the best person they can be. I loved the way the advice was timely and perfectly suited to the way our world is currently. I loved how the author included snippets of their own life experiences to add to the letters. That makes them all the better. This is a book that all young adults should read. It will help them learn to be the people they should be, develop their own faith and hopefully not hate rules and their parents as much! About the author: Adam S. Miller is a professor of philosophy at Collin College in McKinney, Texas. He earned a BA in comparative literature from Brigham Young University and and MA and PhD in philosophy from Villanova University. He and his wife, Gwen Miller, have three children. He is the author of seven books, including Speculative Grace, Future Mormon, and The Gospel According to David Foster Wallace. He also directs the Mormon Theology Seminar.